"I have heard the cry of my people"
Participants: 376 voting delegates from 110 member churches, with 192 official guests and 60 stewards, and 211 staff. Highlights: This was the second assembly to take place in the southern hemisphere and the first to take place after the fall of the Berlin wall. Both north-south and east-west tensions had played major roles in the life of the LWF since its founding in 1947. The LWF gathered in a country decimated by international debt, by continued human rights abuses against its own people, by extraordinary contrasts between rich and poor, and by the destruction of rain forests. Rev. Dr Gottfried Brakemeier, president of the Evangelical Church of the Lutheran Confession in Brazil was elected president. Rev. Dr Gunnar Staalsett became General Secretary. 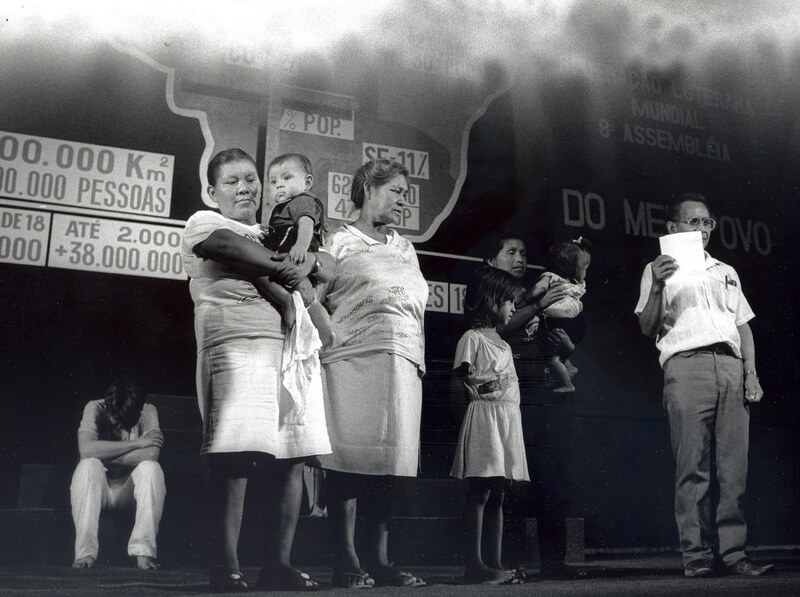 While the Assembly would be remembered largely as an assembly devoted to internal considerations of structure, such as the Communion concept and the restructuration of the LWF Secretariat, other decisions were made, such as solidarity with member churches and regions where life was seriously affected by socio-political change and conflict, such as Brazil, the Baltic states, Central America and Palestine. Principal addresses were on Justification – Freedom – Liberation theology, discerning the call of God in the cries of God’s people, our common responsibility for life in communion, for salvation, for peace with justice, and for a liberated creation. The LWF expressed solidarity with churches and regions where life was seriously affected by socio-political change and conflict: Brazil, the Baltic States, Central America and Palestine. The Assembly resolved that the LWF renew its commitment to the goal of full communion with the churches of the Anglican Communion. It also decided that voting delegates to the next assembly comprise 20 percent youth.